Digging Dolls: 1 lb Tumbled Kambaba Jasper (aka Crocodile Jasper) Stones from Madagascar - 0.75" to 1.50" Avg. - Exceptional Quality Rocks for Crafts, Art, Crystal Healing, Wicca, Reiki and More! | Fountain City Art Ctr. Digging Dolls: 1 lb Tumbled Kambaba Jasper (aka Crocodile Jasper) Stones from Madagascar - 0.75" to 1.50" Avg. - Exceptional Quality Rocks for Crafts, Art, Crystal Healing, Wicca, Reiki and More! 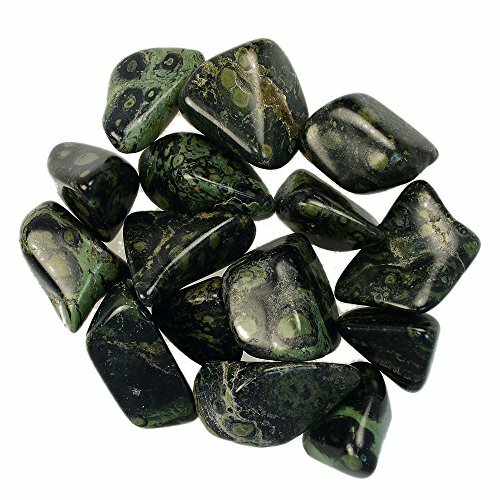 We have hand selected the rough Kambaba Jasper and tumbled it to bring you the best quality stones available. These breathtaking stones are captivating and can be used for arts, crafts, home decor, decoration, tumbling, gem mining, fountains, wire wrapping, jewelry making, reiki and more. Once you have the stones in your hands the innovative thoughts for their uses just spring to mind! Digging Dolls: 1 lb Tumbled Indigo Gabbro Stones from Madagascar - 0.75" to 1.50" Avg. - Exceptional Quality Rocks for Crafts, Art, Crystal Healing, Wicca, Reiki and More!